Posted by hatlentore in Books, Comics/Graphics Novels. 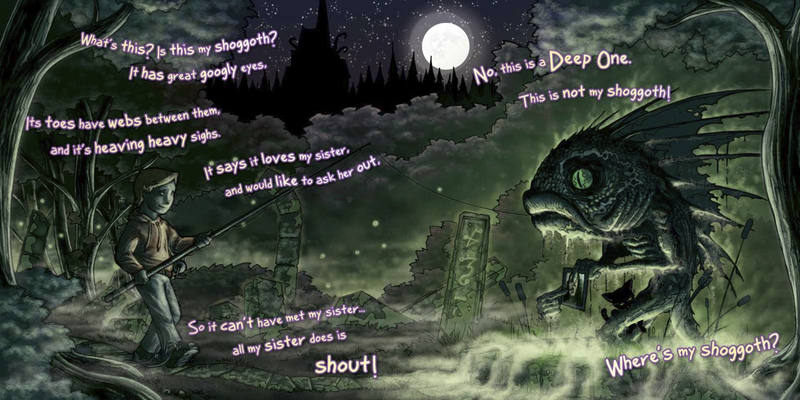 If you’re wondering what a Shoggoth is, you’ve never ready any books by H.P. Lovecraft. 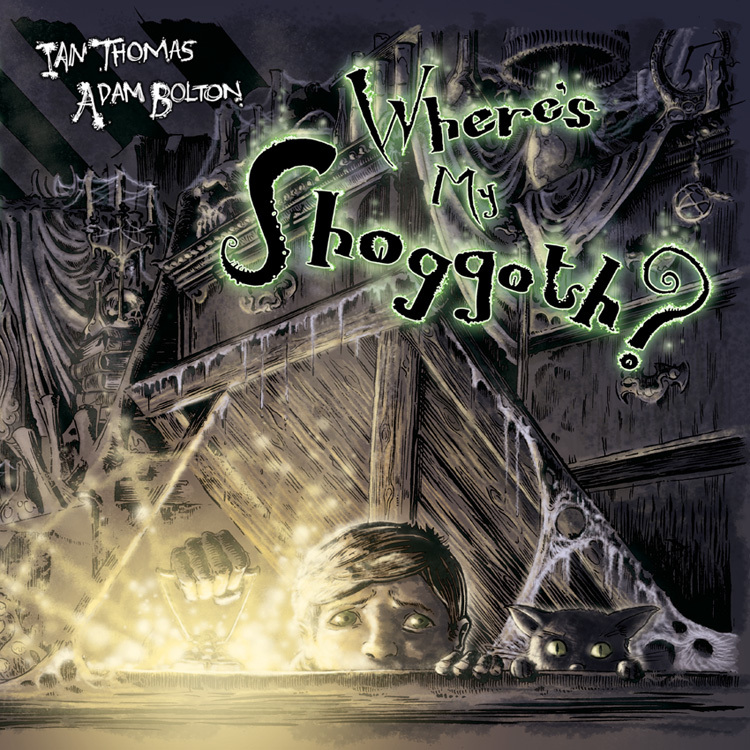 This new book bu Ian Thomas and Adam Bolton, is about a young boy that’s lost his pet Shoggoth. The story is inspired by the writing of Lovecraft and does it justice. 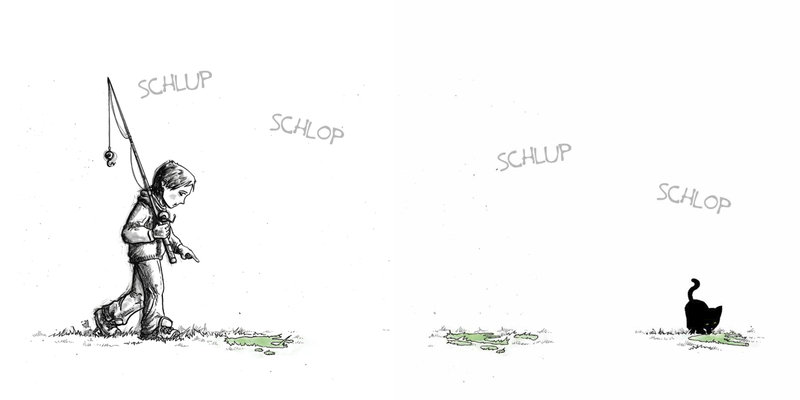 There is also a hint of Suess in the rhyming that takes place through the story. Despite what it sounds like, this is not really a scary story or horror tale. It pays tribute to elements of Lovecraft while not really touching more then a little on the true meaning of the creatures mentioned. 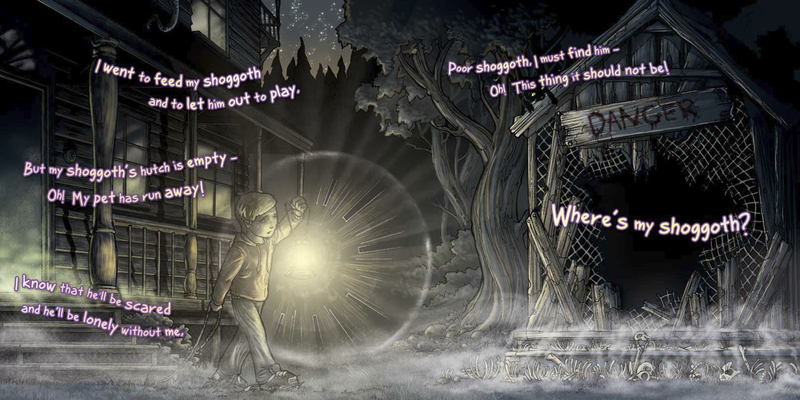 The boys wanders through the night looking for his Shoggoth and meets up with other creatures of the night. The real gem of this book is the illustations. They are really beautful and creative. For those parents and kids that play World of Warcraft, they will no doubt be familiar with the Pandaren, a mysterious race of beings that are loosely based on the Panda Bear. The Pandaren are very much based on Chinese myth and legend. The expansion to World of Warcrat, Mists of Pandaria, is due to be released on Sept 25th. This book ties directly into the game and introduces a few new characters, the Pandaren history and some background. 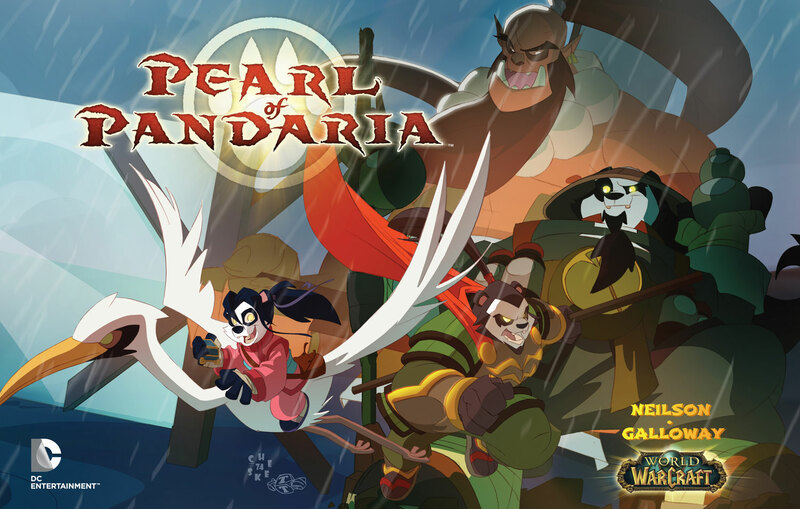 The story is about Li Li Stormstout, a young student who comes from a line of adventurers who left their homeland long ago to explore the world…and she wants nothing more than to chase that dream. But when Li Li runs away to find her famous uncle Chen, how will she survive? The story meanders through many of the locations that are familiar to players of the Warcraft game or any that read the novels or comics. It is a story of adventure, excitement, with mystery and intrigue tossed in. Li Li is trying to find her unce and sees oblivious to the dangers, instead enjoying the journey. Meanwhile, the guardian that was sent to protect her and bring her home, Bo, is so focused on the possible dangers that he fails to see the beauty around him. It a well written story and touches on many elements of the game and other media. The art is beautiful and colorful. It captures the various areas of the game world and evokes the feel of being there. Is it right fr kids? I think it’s great for kids of just about any age that like adventure stories. Older kids will get more out of it and if they have played World of Warcraft, that will be even better for them. Much younger kids, say under 5, won’t get much of the story and there are some parts that would be a little scary.